No. 17 Loyola defeated No. 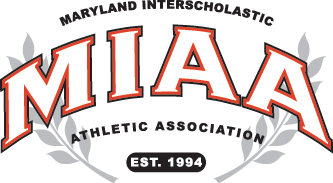 18 St. Mary’s, 6-1, at Bestgate Park in Annapolis on Thursday, to knock the Saints out of the six-team MIAA A Conference post-season baseball tournament. St. Mary’s, the MIAA B Conference champion the last two seasons, finished 7-11 in the regular season and 16-11 overall in its move up to the A Conference. Connor Barnes, a senior right-hander, pitched the Dons to their 10th conference victory and 17th overall (17-9) to return Loyola to the playoffs for the first time since 2013. 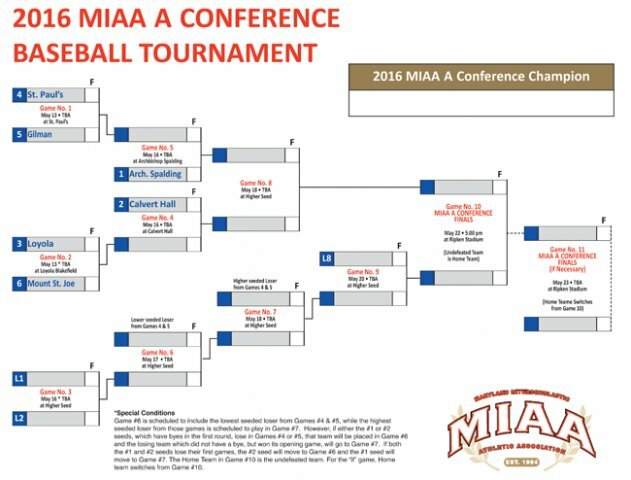 Loyola will face 6th-seeded Mount St. Joseph (8-10, 15-11) Friday in the first round with the winner advancing to second seeded and No. 4 ranked Calvert Hall (12-6, 16-10) on Monday. The Dons were at one time 9-7, but reeled off eight wins in their next 10 to cop the third seed and crack the VSN Top 20. If there could be a sleeper in this tournament, Loyola could be it. Loyola, No. 5 seed Gilman (14-10) and No. 4 seed St. Paul’s (14-12) each finished 10-8 in conference play and the tiebreaker placed them accordingly and put St. Joe in and St. Mary’s out. The Hall and top seeded, No. 1 ranked Archbishop Spalding (15-3, 24-4) earned first round byes. Gilman will visit St. Paul’s on Friday in the other first round contest. The Dons’ Barnes improved to 4-1 with a three-hitter on 86 pitches, striking out four and walking three before giving way to Jack Sheehan, who moved from third base to close it out with two scoreless innings. The Saints scored their only run in the first inning on a bloop single to left by Max Hammond and the Dons manufactured four runs with some shoddy throwing by the home team to take a 4-1 lead after six innings. Sam Barnes was the losing pitcher and victim of the St. Mary’s miscues as the Dons rung up single runs in the third through the sixth innings, the last two coming without a hit. The Saints’ Barnes was removed after four innings while Connor Barnes took control. Meanwhile his mates tied the game at one in the third on a throwing error and it could have been worse for the Saints’ had outfielder Trey D’Amico not made a spectacular diving over the shoulder catch in deep left to rob Sheehan of two RBIs and an extra-base hit. The next inning another throwing error cost the Saints a run by Chris McDonald after a single by Andrew Fava. In the fifth and sixth innings, the Dons scored without the benefit of a hit. James Moses crossed on a wild pitch in the fifth and McDonald raced home in the sixth on a sacrifice fly by Will Glock that was set up by a throwing error. Loyola added a pair of runs in the top of the seventh on catcher Jack Glock’s single and a subsuquent sac-fly by Hunter Spalt. Moses and Al Holcomb scored each of those runs after drawing walks. The visitors committed only one error and combined with the pitching of Barnes and Sheehan, that proved to be the recipe for success as has been the case for the Dons the last couple weeks. Barnes and fellow seniors Bradyn Kail and Fava, who comes from a long line of Favas at Loyola, his dad and grandfather both played at Blakefield, anchor the staff. And sophomore Carson Barnes, the younger brother of Connor, has impressed and is expected to get the ball Friday against St. Joe. “We wanted that 3-seed and for the seniors, we hadn’t made the playoffs our first two years,” said Connor Barnes. “It’s huge to get the 3-seed and put ourselves in a good position to win. We have really turned it on the second half after being a little shaky at the beginning of the year. L – Connor Barnes, Jack Sheehan (6) and Jack Glock. SM – Sam Barnes, Tarin Nolet (5), Brandon Cook (5), Rob Smoloski (7) and Brady O’Neil. NO EXTRA-BASE HITS WP – L – C. Barnes (4-1) LP – SM – S. Barnes.